Great view from this 2 bedroom Waters Edge condo!! Newly remodeled in 2016! Check out this 2 bedroom 2 bath waterfront unit at Water's Edge Condominiums! Living Room features flat screen TV, Blu-Ray DVD player, wireless internet, brand new furniture and access to the deck. The Kitchen and Dining Room are equipped with all you will need for your small group! Range, Refrigerator, Microwave, Dishwasher and garbage disposer. Everything you will need to prepare your meals. Large dining table to seat 6 guests and pantry. Just off the Dining Room is the laundry room with large stack washer & dryer. Master Bedroom has a brand new King sized bed room set, flat screen TV, DVD player, deck access and private bathroom. Guest Bedroom has a Queen bed, flat screen TV and DVD player with access to the deck. Guests use the full sized guest bathroom in the hallway. Outside on the extra large deck enjoy the pub sized 4-top table, 2 person glider and gas grill. Deck is covered and has a waterfront view. This unit comes complete with a 12 x 28 slip in the community dock. Unit is conveniently located on Horseshoe Bend Parkway and near restaurants, attractions and activities! The condo was very nice, equipped with everything we needed to make a few meals.. The deck was enormous and the view was spectacular! The pool was also very nice! The location was excellent as well - very close to so many options on the water or by land.. we would stay here again! The property was nice, the management of the complex was not, however. It seemed that once they found out it was a vrbo reservation they railroaded us out on our last day. I'll never stay in a rental condo again. Especially at this complex. Mark, thanks for leaving a review, we appreciate you staying with us. Unfortunately we don't manage the condo complex and we realize that they can be difficult at times to deal with. However you were not just a vrbo rental, you rented through our vacation rental company, "Your Lake Vacation" and we have a very good relationship with the complex management company. I think that if you would have told them your were renting through our vacation rental company that we could have helped iron out any issues that arose. We have had literally thousands of rentals at this complex over the years with very few issues. Please remember that we are available 24/7 to help with any problems that may arise. Thanks for the nice comments about the unit, it has a great view and has been recently updated with new flooring and decor. We also manage private homes, where you have more privacy and don't have to deal with condo complex management people. 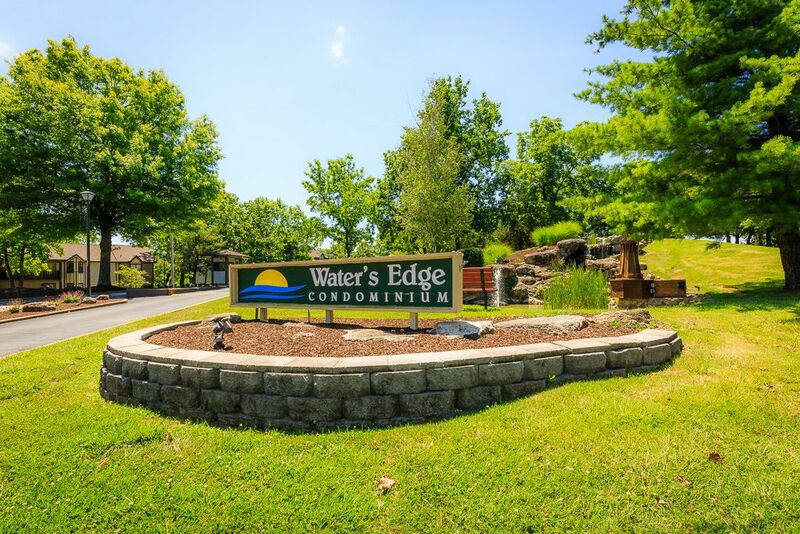 Thanks for visiting the beautiful Lake of the Ozarks and staying with us.